Austin, Texas—An affiliate with the Innovation Institute has acquired Austin VA Outpatient Clinic, a 275,000-square-foot, freestanding outpatient clinic in Austin, Texas, from Cullinan Properties. Ryan Butler, Brad Moulder and Anne Perrault of Stan Johnson Company represented the seller in the transaction, while James McGrade of HPA Realty Inc. represented the buyer. Completed in 2013, the LEED Silver Equivalent facility is located at 7901 Metropolis Drive, adjacent to the 35-acre property of the Austin-Bergstrom International Airport. The facility combines superior architecture, state-of the-art technology, top-tier location and unprecedented patient demand and will provide United States Veterans with a full spectrum of medical care for decades to come. Austin has an explosive population, employment growth and is ranked the premier U.S. real estate market, thus making it attractive to individuals in the workforce, including those veterans seeking opportunity. According to Butler, investors are showing a growing appetite for medical real estate due to population trends and resulting demand for health care services. 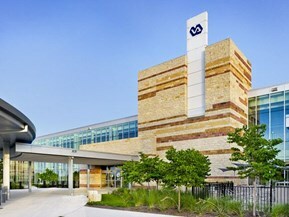 The Austin VA Clinic accommodates more than 300,000 VA patient visits annually and draws from 39 counties in a population of more than 3.5 million people.